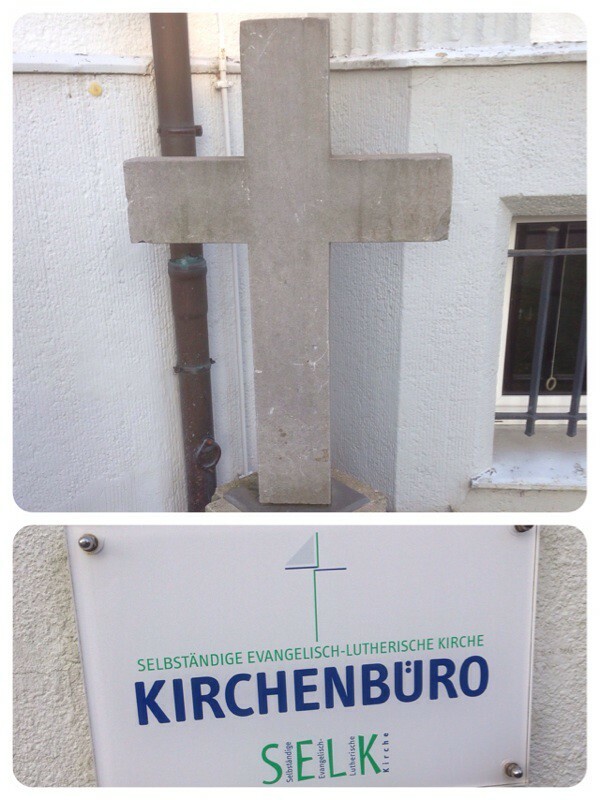 After spending time in Wittenberg, Germany, there was opportunity to visit the headquarters of the Independent Evangelical Lutheran Church (SELK) in Hannover. SELK is a partner church with the Lutheran Church Missouri Synod (LCMS) and also a member of the International Lutheran Council (ILC). 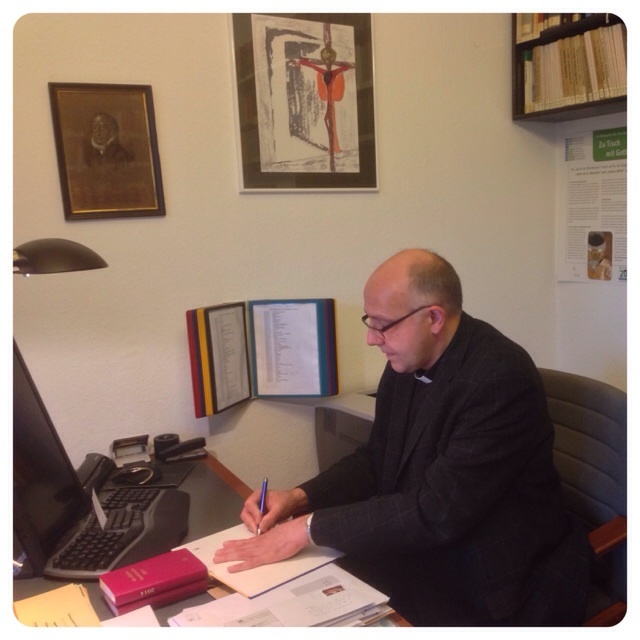 Hans-Jörg Voigt serves as the SELK bishop. He also serves as the chairman of the International Lutheran Council (ILC). 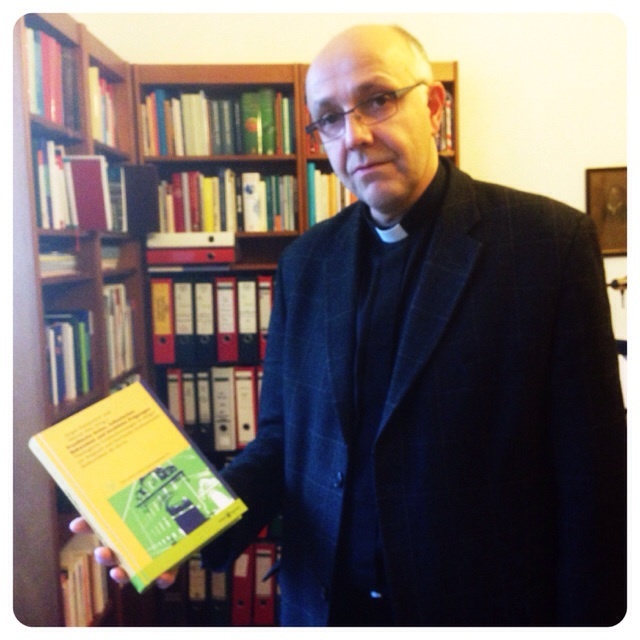 Bishop Voigt presented me with Preußische Union, lutherisches Bekenntnis und Prägungen, (Prussian Union, Lutheran Confession and Mould), which is the history of the independent Lutheran Church in Germany. 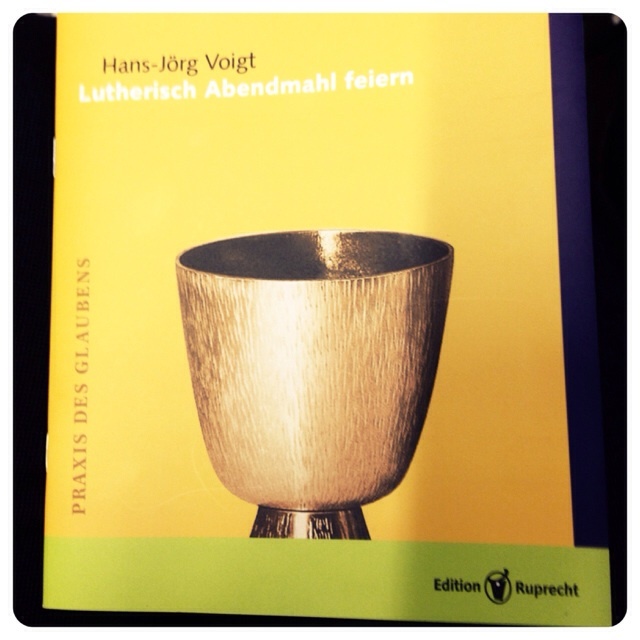 It also is a part of the Missouri Synod’s history, as it tells the story of Walther’s allies in Germany. This common history is part of the bond that connects the LCMS and SELK together as sisters. 1. What I’ve always wanted to know about the Lord’s Supper. (Was ich schon immer mal vom Abendmahl wissen wollte). This section included questions such as “How long does the body and blood of Christ remain in the bread and wine?”, “Do Lutherans believe in the change [of the elements from bread and wine into the body and blood of Christ]?”, “Can a person adore / venerate the body and blood of Christ?” and so forth. 2. Christ in me — Reflections concerning Christ being with me (Christus in mir – Betrachtung über den mitgehenden Christus). The booklet is very helpful and might be translated for use among ILC members.